East Meadow SC are very happy to announce the following players were recently invited to US Club Soccer's id2 event in Arizona from December 6-9. Congrautlations Alexa, Carolina and Daniella!!! To learn more about the id2 events and process click HERE. CASA GRANDE, Ariz. | The third and final id2 Training Camp of 2018 is being held at Grande Sports World, December 6-9. As per 2018 id2 programming, the four-day camp will select boys born in 2005 and girls born in 2004-05, who were selected from US Club Soccer’s Player Development Programs (PDPs) and other nationwide scouting efforts. 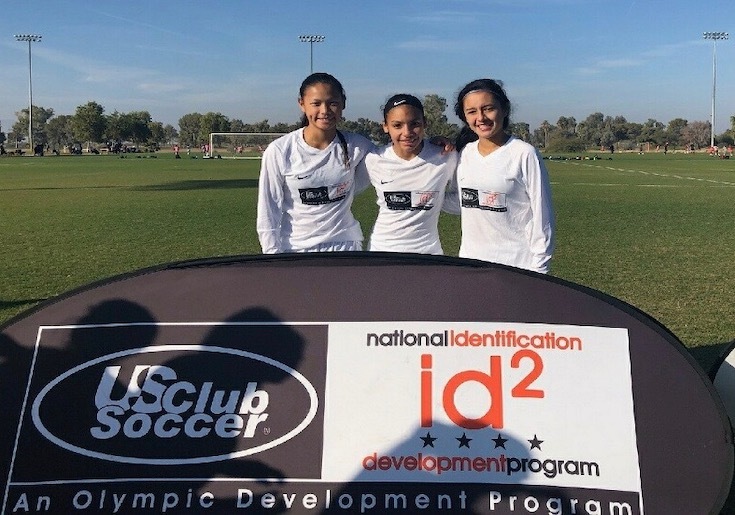 US Club Soccer will invite top performers from this full age group cycle to participate in id2 National Selection programming: the id2 National Selection International Tour (spring 2019 for boys) and the ECNL/id2 National Training Camp (summer 2019 for girls).